Opening a bank account in the UK can be quite difficult and timely, especially if you are only studying for a semester or year abroad. Most banks are not interested in opening an account for you if you are only here a short time. Therefore, here are some tips to help you get access to your funds while you are abroad. Travelling to the UK not only presents challenges in learning the new currency and converting it to your local currency so you know how much your are really spending, but finding ways to use credit and bank cards so that you don’t overcharged for each transaction. But the first challenge will probably be finding a credit card one can use throughout the UK. Below is a list of credit cards and important information that can help guide you through the stress of getting the correct credit card to use abroad. Word to the wise! DO NOT get a DISCOVER card! There are literally zero stores that will accept this card, and possibly 2 or 3 cash machines that will allow you to take a cash advance out on the card. It is also impossible to pay for anything online with this type of card. Make sure the credit card you choose has either a LOW or 0% transaction fee on purchases. This means that with every purchase, if you have a high transaction fee, your credit card company will charge you an additional percentage of your purchase and keep the money. To avoid this, search for cards with a low (1 – 5% fee) or 0% fee. Always have an alternative form of payment on hand (ie cash) just in case your credit card mysteriously stops working – especially if you plan to use an American Express (AMEX) card. A great alternative to opening a credit card is to sign up for the Travelex Mastercard. This is a card that does not connect directly to your bank account, so if it is stolen, the thief won’t have access to your savings. You can either transfer money to this card from another credit card or simply bring it to a Travelex location and put cash (of any currency) on the card. It is also a “contactless” card which allows you to use it in place of purchasing an Oyster Card for public transportation. This card can be used in any country throughout Europe. It will automatically change the currency to the one used in any specific country. Be aware of exchange rates between countries. At the moment, GBP is weak against US dollars and the Euro which means you get more Sterling for your dollar or your Euro than 5 years ago. However, every place that you try to change money offers a different rate – so check what the rate really is by using an app or website link like Oanda.com. Places that you can exchange money include: post offices, M&S, airports, train stations but be careful which you choose. The worst place is the airport as the exchange rate will always be extortionate. For the best rates and lowest admin fees choose is Thomas Global Exchange – who charge you admin fee if you pay with credit card but don’t if you are getting your GBP with cash. The others are right in the middle. The UK offers anyone living our outside of Europe a VAT (tax) refund on items purchased from stores. For example, if you visit Primark to pick up some home items or clothing, once you are at the checkout, ask the salesperson if your purchase qualifies you for a VAT refund. The salesperson will know exactly what you are talking about. Most stores have a minimum amount you must purchase before you qualify for the refund, but it’s worth checking. Once you receive the receipt for the refund, you have 2 months to cash-in the refund before it expires. The salesperson will hand you a pamphlet explaining the simple process, it also includes places you can go to receive the refund. EASY! Money problems sorted…now time to plan! 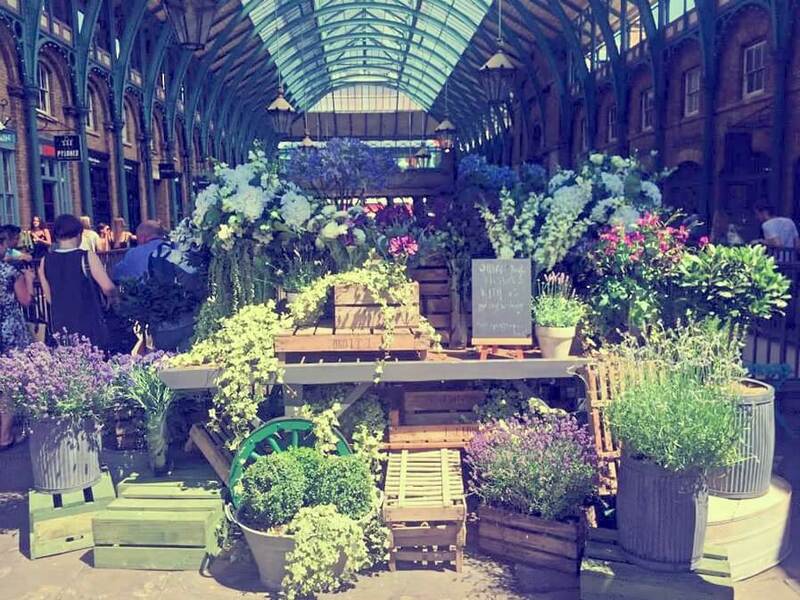 Check out our blogs for some of the best food markets in London to spend those hard bucks! Or if you want to spend it on travel check out our weekend trips !